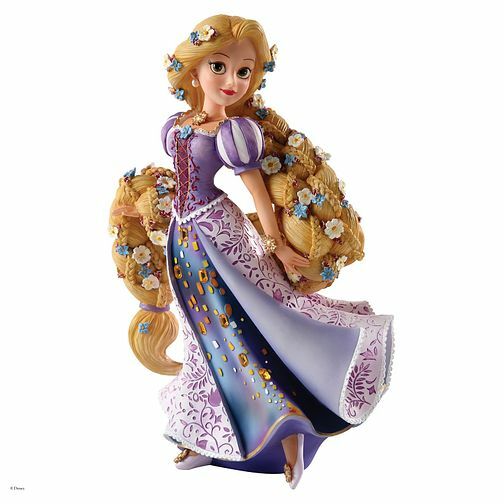 Capturing the magic of Disney, this beautifully detailed resin figurine features the fairy-tale Rapunzel and her famous long flowing blonde locks filled with flowers. A must have addition to any Disney collection. Disney Showcase Tangled Rapunzel Figurine is rated 4.7 out of 5 by 23. Rated 5 out of 5 by Anonymous from Beautiful figurine Beautiful ornament, looks stunning, very detailed. Rated 5 out of 5 by Anonymous from Disney A fabulous looking figurine at a very good price, very pleased with purchase.